The year-round regional transit service handles a seasonal ebb and flow of passengers that increases tenfold in July and August. Summertime on Martha’s Vineyard, and the living is easy — driving around the Island, sometimes not so much. It can be exasperating for those who must navigate Five Corners gridlock, are stuck in traffic backups at both ends of Edgartown–Vineyard Haven Road, and endure fruitless searches for parking. As the Island’s summer season cranked up in July, 313,181 passengers sat back and let the Vineyard Transit Authority (VTA) take the wheel, on 14 bus routes Island-wide. Bracing for Illumination Night, fireworks and fairgoing crowds, VTA administrator Angela Grant met with The Times two weeks ago in the dispatch office, multitasking with aplomb. As she answered questions, Ms. Grant kept an eye on a computer screen that tracked the real-time progress of 25 buses out on the road, and also helped dispatcher Vickie Maciel field a steady barrage of radio calls from drivers and phone calls from the public. On Thursday another three buses would be added with the start of service to the Martha’s Vineyard Agricultural Society Fair. It’s a good thing she does. The VTA revs up from an average of about 25,000 passengers in the winter months to over 300,000 in July and August, a ten- to elevenfold increase, Ms. Grant said. The VTA has two major schedule changes a year, between peak season, typically May through September, and off-season. Service is also scaled up and down in the spring (April 30 through June 17) and fall (Sept. 5 through Oct. 10) shoulder seasons, based on past demand. Twelve of the VTA’s 14 routes are operated year-round, every day except Thanksgiving and Christmas. Route 11, a shuttle service in and out of Edgartown from a Park and Ride lot, and Route 12, a Chilmark in-town and sunset bus route, operate seasonally. The VTA’s operating budget for the current fiscal year is $5,570,577, Ms. Grant said. There are 10 year-round staff members who fill nine full-time-equivalent (FTE) positions in administration, maintenance, and facilities. As required by law, the operations department is contracted to a private company. Transit Connections Inc. (TCI), the VTA’s operations contractor, employs vehicle operators with commercial driver’s licenses, dispatchers, and vehicle fuelers and washers, and hires, trains, and schedules all vehicle operators. TCI is contracted to hire 100 people (75 FTE) in-season, which fluctuates heavily depending on the availability of new hires. The number drops to 35 off-season (25 FTE). The VTA reached the milestone of carrying over 1 million passengers (1,031,197) for the first time in its history during fiscal year (FY) 2008. Ridership in FY 2016 hit 1,364,768, an increase of about 6 percent over the previous year. “The growth, I think, in the bulk of our ridership is in the commuting hours, and nights,” Ms. Grant said. Ms. Grant said Sunday, July 3, was the VTA’s first taste of those numbers, with about 12,000 passengers that day. “Then you anticipate similar numbers on Saturdays in August, and over fair week, and then, miraculously the day after the fair, you can breathe, because traffic lightens up,” she said. When asked which are the most popular bus routes, Ms. Grant explained that ridership numbers are more a reflection of where routes and stops are located, and the density of the population served, than popularity. Route 13 connects the three down-Island towns, Vineyard Haven, Oak Bluffs, and Edgartown, via one of the most scenic water routes, along State Beach. Multiple beaches, tourist attractions such as “Jaws Bridge,” and Martha’s Vineyard Hospital are intermediate destinations for Route 13, in between the town centers. In July, 149,602 passengers rode Route 13 buses, which is about 47 percent of the month’s total ridership. Route 13 is popular for all of the VTA’s customer base, residents, workers, and tourists alike, and its ridership is strong enough to consider it the “money” route for the VTA, according to a Regional Transit Plan and Comprehensive Review completed in October 2015. Second to Route 13 in ridership numbers, Route 1 served 57,122 passengers in July. Route 1 runs the entire length of Edgartown–Vineyard Haven Road, the backbone of the down-Island road network. It directly connects the downtowns of Edgartown and Vineyard Haven, and goes through the southern part of Oak Bluffs. Major trip generators along Route 1 include the regional high school, the Y, Martha’s Vineyard Community Services, the Ice Arena, two elderly-housing complexes, and a seasonal campground. Route 1 connects to more bus routes than any other, and is the VTA’s strongest off-season route, according to the Regional Transit Plan. In addition to Routes 1, 12, and 13, several others provide service to beaches. 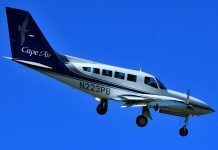 Route 8, the South Beach Route, makes a round trip from Church Street in Edgartown, with stops across from Katama Airport, the right and left forks of South Beach, the Mattakesett Resort, and South Water Street. In July, 17,813 passengers took Route 8 buses. Route 2, which includes a stop across from Lambert’s Cove Beach, carried 2,580 passengers in July. Routes 4 and 5, which run round trips from West Tisbury to Menemsha and Chilmark and from West Tisbury to Aquinnah respectively, service the up-Island beaches. 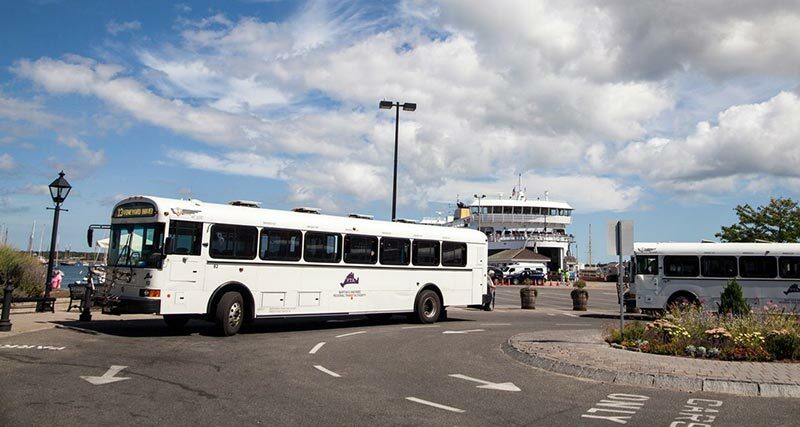 Ridership numbers for those routes are combined with numbers from Route 3, between Vineyard Haven and West Tisbury, and Route 6, between Edgartown and West Tisbury, which include passengers that transfer to up-Island buses. In July the four routes carried 45,973 passengers. Route 12, which operates from July 1 through Sept. 4 from the Chilmark Community Center to Menemsha Beach and the Tabor House Road lot, had 2,118 passengers in July. Although many Island visitors ask VTA ticket sellers how to get to Aquinnah, Ms. Grant said up-Island ridership has not seen a big increase. Although summer traffic can wreak havoc with bus schedules, passengers can get the real-time locations and arrival times of VTA buses by logging on to the VTA website, vineyardtransit.com, or downloading and installing a free Smartphone app, Tracloc Rider. The VTA has a fleet of 32 buses and five vans for paratransit service. The buses include nine that are 30 feet long, sixteen 35 feet long, and seven 40 feet long. The seasonal ebb and flow in ridership numbers makes bus purchases a challenge, she explained. It’s more economical to replace a 40-foot bus that runs on Route 13 in the summer, for example, with a smaller one in the winter. The VTA’s newest buses are 30-foot-long, low-floor models — and air-conditioned. Four were purchased in June 2015, and another four in June this year. “The low-floor model is so much easier for our park and ride lot passengers,” Ms. Grant said. Another possibility for the VTA’s future bus purchases is electric buses. A few weeks ago the BYD (Build Your Dreams) Co., headquartered in Los Angeles, brought a 35-foot-long, 102-inch-wide battery-electric transit bus to the VTA offices for a demonstration to staff and board members. BYD also produces a 30-foot-long, 96-inch-wide model. There’s a lot to like about the electric buses, she added, including that the company guarantees the batteries for 12 years. “We would have to bid everything, of course, so we’re just looking right now,” Ms. Grant said. The Island towns voted to approve the VTA in 1980, and it began with paratransit services known as the Lift, followed by the downtown Edgartown trolley and South Beach trolley in 1984, Ms. Grant said. The VTA undertook a major expansion of services both Island-wide and year-round in 2005.